As the Trump Administration wrestles with locations, numbers and missions for American combat deployments globally, one perennial has re-emerged near the top of the list: Afghanistan. Famously called the “Graveyard of Empires” to reflect the successive defeats of Alexander the Great, the British Raj, and the Soviet Union, Afghanistan continues to vex US military planners and political figures leaders. After perhaps a $1 trillion investment and thousands of casualties, another “ask” for troops is particularly unwelcome. The question on the table is simple: how many troops do we need in Afghanistan? When I was the Supreme Allied Commander at NATO for global operations, I had strategic responsibility for the fighting in Afghanistan and a total NATO force of over 150,000. Over my four years in command, I had four brilliant Generals working for me commanding those NATO forces: Generals Stanley McChrystal, David Petraeus, John Allen and Joseph Dunford, the latter still on active duty as the Chairman of the Joint Chiefs of Staff. With each of them, I spent considerable time honing our requests for more troops, apportioning the burden among the 28 nations of NATO and, sadly, writing condolence letters to the families of thousands killed on my watch. But we generally succeeded in wresting control of much of Afghanistan from the Taliban, safeguarding the election that delivered President Ashraf Ghani (an enormous improvement over his volatile predecessor Hamid Karzai), and turning over the fight to the Afghan security forces we financed and trained. The outbreak of war in the Donbas region (April 2014) turned Ukraine into one of the main targets of Russian information warfare, information-psychological operations, as well as cyberattacks and electronic warfare. Within the past three years, Ukraine has been subjected to no less than 7,000 cyberattacks. Ukrainian cyber expert Sergey Radkevych recently claimed that “Ukraine is in a state of cyber war with Russia” and that Russian cyber activities pose an existential threat to Ukraine’s national security (Sprotyv.info, May 5). Furthermore, military clashes in Donbas have once again demonstrated that Russian military strategists and experts believe Electronic Warfare (EW) has become the backbone of “warfare of the future.” Western sources have claimed that from December 2015, Russia started to act much more decisively aiming to “achieve kinetic effects by delivering severe blows to Ukrainian critical infrastructure” (Cna.org, March 2017). Namely, these activities included damaging/destroying command-and-control networks through jamming radio communications, hampering the work of radar systems, and muting GPS signals. The main obstacle, however, was in the lack of concrete proof and factual data pertaining to tools, gadgets and other means used by the Russians while waging EW against Ukraine. But thanks to independent investigations conducted by Ukrainian activists and cyber specialists, it is now possible to speak about Russian involvement in EW against Ukraine as an undisputed fact. And the data presented by the Ukrainians illuminates many points of ambiguity regarding Russia’s use of EW in Donbas. The nature of global trade is shifting once again. For two decades, the World Trade Organization (WTO) has been locked in a stalemate between the wealthy north and the poor south as countries on either side of the global divide fail to find room for compromise. But now that seems to be changing, and new alliances are being made across age-old battle lines. Unfortunately for free trade advocates, this doesn't necessarily signal forward motion in global trade talks. Instead it will likely slow negotiations even further as two factions are replaced by many, giving rise to an increasingly multipolar world in which multilateral trade deals are even harder to come by. The change underway was on full display last week during a meeting of the WTO's General Council. At the May 10 event, India caused an international uproar by blocking discussion of the meeting's agenda after charging that the "investment facilitation" items several countries had submitted were outside the organization's remit. That the move caused consternation, or that it came from India, was not unusual. But the players facing off against one another in the debate were. On one side, the developing nations that had proposed the items - China, Brazil and Russia - lined up next to their developed counterparts, Japan and the European Union. On the other, India likewise had the support of members from different economic circumstances, South Africa and the United States. Should countries continue to cross the historical divide between the developed and developing worlds, it could dramatically reshape global trade as we know it - and not necessarily for the better. Terrorist groups themselves have changed, writes Dan Byman, altering the nature of the threat they pose. Some of these dangers concern the groups and their ideology, while others emanate from how they recruit, act, and thrive. Similarly, the U.S. and European response to terrorism has evolved, both for better and for worse, he argues. This piece originally appeared on Lawfare. The latest atrocity claimed by the Islamic State—the killing of at least 22 people, many of them children, at an Ariana Grande concert in Manchester—illustrates how the terrorism threat has evolved. The United Kingdom, after all, is no stranger to terrorism. On July 7, 2005 al-Qaida attacked several transportation targets in London, killing 52, and Irish Republican Army attacks (IRA) regularly struck at the United Kingdom in the decades before al-Qaida began attacking targets in Europe. Yet the Manchester attack, with its targeting of children and lack of a concrete link to a coherent political agenda, shows how the danger posed by terrorism has changed over the years. I frequently compare the risk of terrorism to the United States with that of past decades and argue that we typically overstate the current level of danger and that, in general, U.S. counterterrorism is performing admirably when it comes to defending the U.S. homeland. In the post-9/11 era, terrorists have killed 154 Americans in the U.S. homeland, with jihadists accounting for 95 of those. These numbers are lower than the average number of deaths within the United States in a comparable period for the pre-9/11 era. Even in Europe, the number of deaths and attacks in the post-9/11 era are lower than those in the pre-9/11 era, when groups like the IRA and Basque separatists waged a bloody war of attrition against the United Kingdom and Spain, respectively, and state sponsors like Iran and Libya committed attacks against their foes on European soil. The recent blocking of various social media websites in Kashmir by the Centre has engaged the attention of relevant stakeholders. The blocking has been done keeping in mind the broader national interest of India, but the blocking has presented numerous challenges. The first of the challenges was the fact that the order for blocking of websites was issued under the Indian Telegraph Act, whereas statutory powers for blocking lies under Section 69A of the Information Technology Act, 2000. Second, in today’s world, blocking is an outdated and antiquated phenomenon. Blocking of websites is akin to trying to fix a leaking roof by means of putting a Band-Aid. With the Internet providing so many distinct new tools, as well as VPN facilities to bypass the blocking orders, people are increasingly getting tech-savvy. No wonder reports have come that people in Kashmir are using VPNs for accessing the blocked websites. In today’s scenario, where the Internet is getting more and more ubiquitous and where people are finding more innovative ways of trying to connect to the Internet, it is a utopian dream to completely block specific websites. If a person has the will to access the blocked websites, he will be able to find innovative mechanisms to access them. Needless to say, sovereign governments are facing immense practical challenges in terms of the misuse of social media. The governments of the world, including India, now need to come up with more customised and innovative approaches to deal with the misuse of social media. In the Indian context, the government needs to take far more concrete steps rather than to look at short-term ad hoc measures like blocking of websites in Kashmir. It is imperative that the provisions of the Indian cyber law, being the Information Technology Act 2000, need to be appropriately amended so as to be made it topical and relevant in the context of today’s times. India has cancelled plans to build nearly 14 gigawatts of coal-fired power stations – about the same as the total amount in the UK – with the price for solar electricity “free falling” to levels once considered impossible. Analyst Tim Buckley said the shift away from the dirtiest fossil fuel and towards solar in India would have “profound” implications on global energy markets. According to his article on the Institute for Energy Economics and Financial Analysis’s website, 13.7GW of planned coal power projects have been cancelled so far this month – in a stark indication of the pace of change. In January last year, Finnish company Fortum agreed to generate electricity in Rajasthan with a record low tariff, or guaranteed price, of 4.34 rupees per kilowatt-hour (about 5p). Mr Buckley, director of energy finance studies at the IEEFA, said that at the time analysts said this price was so low would never be repeated. Solar energy prices are crashing through the floor in India. In the last three months, solar tariffs have dropped by over 25%, with much of the recent action focused around Rajasthan’s Bhadla solar park, a 10,000-hectare facility on the edge of the Thar desert. 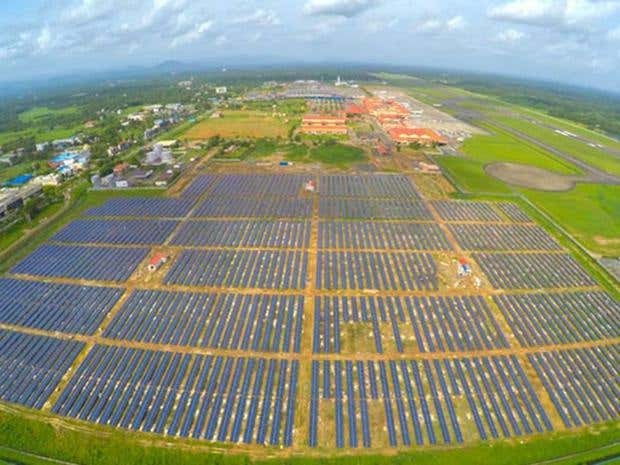 At an auction for 500 megawatts of capacity at the park on May 12, the state-run Solar Energy Corporation of India managed to discover a record-low tariff of Rs 2.4 per kilowatt-hour. The previous low was two days before that when tariffs hit Rs 2.6 per kilowatt-hour during auctions for another phase of the Bhadla solar park. At such rock-bottom prices, solar power is even cheaper than India’s coal-based thermal power plants. The country’s largest power company, NTPC, sells electricity from its coal-based generation units at a princely Rs 3.2 per kilowatt-hour. 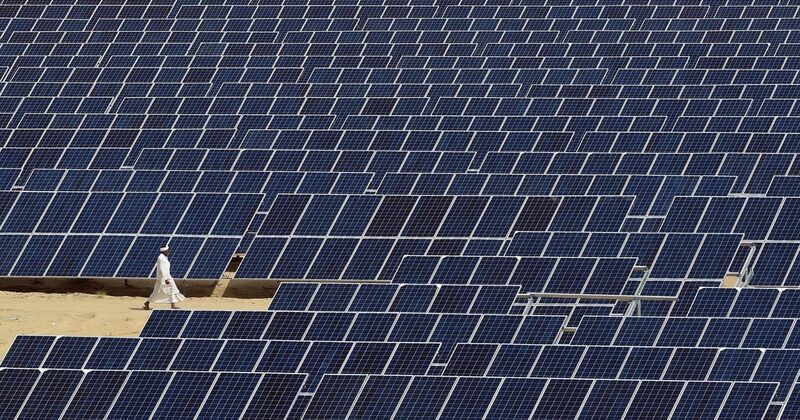 Moreover, India’s solar-generation capacity is expected to touch 8.8 gigawatts this year (a jump of 76% over 2016) to become the third-largest solar market in the world, according to renewable energy consultancy Bridge To India. And, on the back of prolific growth in non-conventional power, consulting giant Ernst & Young reckons that India is the world’s second best market for investing in renewable energy. At his swearing-in three years ago, Indian prime minister Narendra Modi pulled a coup of sorts by featuring an array of heads of states from South Asian countries, including arch-enemy Pakistan, at an event that rarely has a high-profile foreign contingent. Months later, the Indian prime minister’s bromance with former US president Barack Obama—who even wrote a note in praise of Modi in Time magazine—was the subject of much adulation. In the first two years of his term, Modi travelled to as many as 36 countries—and all India’s neighbours—in an attempt to establish the world’s fastest-growing major economy as a regional soft power. But in the past year the Modi diplomatic whirlwind has waned. Meanwhile, China—India’s nuclear-armed neighbour—under president Xi Jinping, appears to be making all the right moves in its foreign policy, particularly in Asia, to New Delhi’s increasing consternation. Reportedly, the Trump administration is considering adding several thousand U.S. troops—ideally accompanied by other NATO and foreign reinforcements too—to the U.S.-led mission in Afghanistan. The current mission totals some 8,500 Americans, and roughly twelve thousand foreign troops in all, so the possible increase could amount to an augmentation of 30–50 percent in total personnel. In my judgment, this kind of increase would be sensible, for reasons discussed below. Before examining the numbers issue, however, a few other quick points need to be made about our ongoing commitment to Afghanistan, now in its sixteenth year. First, those who have been saying for years that the United States does not have the strategic patience or political resilience to remain committed to a long and tough mission for many years have been definitively proved wrong. That is a good thing, not just for Afghanistan, but for what it says about America’s strategic ability to stick with a tough job even when the results are mediocre and the stage lights have dimmed, so to speak. Second, the Trump administration seems to be implicitly accepting that it will remain in Afghanistan throughout much—if not all—of the president’s first term. For example, there would be little purpose in talking about a buildup this year if our intention was simply to pull out next year, for example. Happily, there seems to be a good chance that the United States will end its annual policy reviews that consider zeroing out the U.S./NATO presence in the country, as happened in the latter years of the Obama administration. A mission that has been called Operation Resolute Support since 2015 may now fully deserve its name. While many of the key building blocks of China’s transitional framework have fallen into place – especially rapid growth in services and accelerated urbanization – there can be no mistaking a new and important twist: China now appears to be changing from an adapter to a driver of globalization. In effect, the Next China is upping the ante on its connection to an increasingly integrated world – and creating a new set of risks and opportunities along the way. As I noted in previous blog posts, China has in recent years embarked upon a global soft power offensive. This charm offensive has included an expansion of Xinhua and other state media outlets into many new markets, as well as professionalizing these news services and hiring many capable reporters. The new charm offensive has included vast increases in aid, much of it part of massive new concepts like One Belt, One Road. It has included an increase in assistance for educational exchanges, new programs for training of foreign officials coming to China on short courses, and an overall effort by Xi Jinping and other senior leaders to portray Beijing as a kind of defender of the global order—at least on trade and climate change, two issues where U.S. leadership appears to be retreating. It’s 2017, and the world is shaken by another depraved mass murder, carried out and claimed in the name of ISIS. This time, it is children who are targeted. And just like the countless other times before, the mass media coverage seems stuck on a loop: the same few videos of victims panicking, anguished parents waiting for their children, and distraught mothers sobbing dominate our screens, playing again and again and again and again. ISIS has a media strategy, and unfortunately, it is aimed exactly at generating this type of coverage. In fact, this media strategy is instinctively shared with other sensational mass killers — school shooters, white-supremacist terrorists, and others. They crave the distorted infamy they hope they will get after their death; they carefully prepare manifestos they hope will be published; they record videos they hope will be played on loop on cable TV. Sometimes, the seeking of attention and “upping the ante” of victims is instinctive, as with young school shooters. Such mass murderers often meticulously collect clippings of media from past such incidents and obsessively follow the coverage. They "admire" and seek to emulate those who increased the numbers of victims. The Sandy Hook mass murder, carried out not by ISIS but by a disturbed young man in the US, seemed to do just that: target children, as a sick "one-upping" of sensational mass murder. In the case of ISIS, this stems not from instinct, but from a strategic understanding of the need for escalation to increase the coverage and horror. According to the polling data collected by Russell Berman and Arno Tausch, 1) 8.3% of Muslims worldwide support the so-called Islamic State; 2) 18% of Syrian refugees sympathize with the group, while 30% of them want to establish a theocratic state in their war-torn country; and 3) 52% of all Arabs agree that US meddling in their region justifies terrorist responses. These percentages, Berman and Tausch are quick to note, tell a more complex and differentiated tale than one might first suspect, but they also raise legitimate questions about the hostility being directed towards certain Western immigration policies. Syria was never a country whose 14 provinces and 8 main communities were voluntarily bonded together by secularism and tolerance. Not surprisingly the six-year civil war became violently sectarian and ethnic. At ceasefire talks on May 4 in Astana, Kazakhstan, Russia proposed four “de-escalation zones” with Iran, Turkey, and itself serving as guarantors. Yes, partition is necessary. But having three nations that greatly abet the strife serve as enforcers will not produce peace. An impartial plan must be formulated and implemented. Since 1971, under father Hafez al-Assad and son Basher, Syria has been ruled by Alawites comprising 13 percent of the population. Through oppressive rule, they and their Shiite partners engendered among Sunnis, 74 percent of the population, a desire to extract retribution. Christians, Druze, Jews and Yezidis found a degree of security by bending to the Alawite leadership’s wishes, but thereby came to be seen as complicit. After the civil war broke out in March 2011, the Syrian president’s security agents increased imprisonment, torture and execution of dissidents. His air force launched barrel and hose bombs and chemical attacks on civilians. Donald Trump has arrived to meet NATO leaders in Brussels for what are described as informal talks. The US President’s visit has prompted a 6,000 strong protest in the Belgian capital, as activists from various campaign groups march through the city. RT: What do you think NATO is aiming at, holding a huge reception for Trump in its new billion-dollar headquarters? Why are they trying to impress Trump? Jim Jatras: Let’s be clear about something that NATO means the US; that these other countries are not really allies – they are satellites. Without a US commitment to NATO, there is no NATO. Trump was very clear during the campaign that he thought NATO was obsolete, that it did not really contribute to American security. Of course, that is the honest truth. Look what happened in Manchester a couple of days ago – that is the real threat to Europe. How is NATO dealing with that? I think what they are doing is celebrating in effect the reversal of the position he took during the campaign. Instead of being a critic of NATO, or considering NATO at best obsolete and probably dangerous to American security, instead he seems to have been sucked into the establishment position on NATO, and I am sure they are very, very happy about that. RT: Trump’s views on NATO efficiency has been changing. Earlier he labeled NATO as “obsolete.” What’s your view on NATO’s role in the world and do you agree that it doesn’t perform any important function now? Trump made separate appeals to the director of national intelligence, Daniel Coats, and to Adm. Michael S. Rogers, the director of the National Security Agency, urging them to publicly deny the existence of any evidence of collusion during the 2016 election. Coats and Rogers refused to comply with the requests, which they both deemed to be inappropriate, according to two current and two former officials, who spoke on the condition of anonymity to discuss private communications with the president. This Is Why the United States Is No Longer a Military "Hyperpower"
The United States is no longer the “hyperpower” it once was in the immediate aftermath of the Cold War and the collapse of the Soviet Union. Where once Washington held a position of complete dominance, the United States is now faced with competing powers—some of which can field peer-level capabilities. With the NATO summit just hours away, it is useful to assess the state of two key allied militaries: Germany’s and the United Kingdom’s. These two countries have historically been central to the alliance’s strategic credibility—and remain so today—but each faces a gap between what it claims it wants to do and the resources necessary to meet those goals. This funding shortfall came about, in part, because the original plan—which included procuring a host of new weapon and defense platforms, such as maritime patrol aircraft, attack helicopters, nuclear-armed strategic submarines, and F-35s for its new aircraft carriers—rested on overly optimistic assumptions about how much the Ministry of Defence could save by instituting greater internal efficiencies. Compounding the problem, the Ministry’s “rainy day” fund of approximately $14 billion, intended to help it meet new emerging threats, has been largely eaten up by current needs. And, finally, there is the issue of the pound and the possible, negative effect of Brexit on its long-term strength relative to the dollar. With a goodly amount of the new British defense equipment coming from the United States, the MoD may well have less dollar buying power in the future and, in turn, will need to make cuts to its planned procurements. Marine Expeditionary Unit (MEU) tanks raise the lethality and survivability of Marines on the ground across the spectrum of conflict. Despite the maneuverability, lethality, and survivability that tanks provide, the 15th MEU will deploy without out its battalion landing team’s (BLT’s) M1A1s. 3 The unit will embark on the USS America (LHA-6), the USS San Diego (LPD-22), and the USS Pearl Harbor (LSD-52); these ships lack adequate space for the unit’s equipment, driving the decision to deploy without the tanks. 4According to “Expeditionary Force 21,” armored vehicles need an “effective balance of lethality and protection” when maneuvering inland after an amphibious landing. 5 Tanks are essential to providing that balance. The proposed dispatch of several thousand more U.S. troops to war-torn Afghanistan by President Donald Trump’s administration begs the question: If more than 100,000 American troops failed between 2010 and 2012 to bring the Afghan Taliban to the negotiating table, why would adding 3,000 to 5,000 soldiers to the current modest U.S. force of 8,400 make a difference? For nearly 16 years, the U.S. has been stuck in Afghanistan in the longest and most expensive war in its history. It has tried several policies to wind down the war, including a massive military “surge” under Trump’s predecessor, Barack Obama, to compel the Taliban to sue for peace. Nothing has worked, in large part because the U.S. has continued to fight the war on just one side of the Afghanistan-Pakistan divide and refused to go after the Pakistan-based sanctuaries of the Taliban and its affiliate, the Haqqani network. As Gen. John Nicholson, the U.S. military commander in Afghanistan, acknowledged earlier this year: “It is very difficult to succeed on the battlefield when your enemy enjoys external support and safe haven.” Worse still, the Taliban is conspicuously missing from the U.S. list of Foreign Terrorist Organizations, while the procreator and sponsor of that medieval militia — Pakistan — has been one of the largest recipients of American aid since 2001, when the U.S. invasion of Afghanistan helped remove the Taliban from power. Our tactics in the battles against Daesh in Raqqa and Mosul appear to be on the verge of success. But tactical success in battle will not win the war without a strategy. And that strategy will not be successful if it depends solely upon kinetic force. It is imperative to prevent another ISIS-like organization from springing up again after its battleground defeat, so even if it was possible to kill every last fighting jihadi, we need a plan to prevent future jihadists. We will only win if we attack our adversaries center of gravity (COG) – and it cannot be attacked by kinetic or military means. Bullets and drones will not prevent recruitment. Bullets and drones cannot kill ideas and movements. Worse yet, bullets and drones validate and empower movements by legitimizing them as serious enough for the US to take on militarily. Bullets and drones will not inoculate populations from getting infiltrated by extremist networks, nor prevent an individual from carrying out an attack on the homeland. But bullets and drones can protect the soft power initiatives that can do all of that. Leading with soft power, secured by hard power, is the framework of a winning strategy. Moreover, the single most powerful weapon in our Soft Power tool box is narrative. Why? Because without narrative you do not have influence. Diplomacy, humanitarian aid, stability operations, community engagement, all rely upon influence for success. Immature programs resulting in excessive vulnerabilities maintenance and backlogged compromise investigations are fueling high stress and systems distrust, according to a survey of 400 individual contributors and management personnel working in cybersecurity, fraud, risk and compliance. “A Day in the Life of a Cyber Security Pro,” an Enterprise Management Associates infobrief written by David Monahan for Bay Dynamics, finds 67 percent of federal respondents feeling overwhelmed by the volume of vulnerabilities and threat alerts received. A contributing frustration factor was revealed to be a significantly labor-intensive manual patching approval process. In addition, inefficient alerting systems generating false positives and improperly prioritized alerts that need manual reassessment are contributing to that feeling of being overwhelmed. According to the survey, the failings in automated systems are requiring analysts to spend 24 to 30 minutes to investigate each incident and up to 64 percent of tickets are not worked per day. Taking into account these factors, a tools issue needs to be addressed and any feeling of program maturity are from management buffered from the direct impact on operations. Since April 2012, there have been organized, planned and targeted long-term uninterrupted attacks on important areas such as the Chinese government, research institutes, maritime institutions, sea construction and shipping enterprises. We named it OceanLotus. The organization mainly through the harpoon attack and puddle attack and other methods, with a variety of social engineering means to penetrate, to the specific target groups to disseminate special Trojans, secret control of some government officials, outsourcers and industry experts, computer systems, Confidential information in the relevant areas of the system. Has been captured OceanLotus special Trojan samples more than 100, infected people throughout the 29 provincial-level administrative regions and 36 countries outside. Among them, 3% of the infected people in China. Beijing, Tianjin is the most infected areas of the two regions. 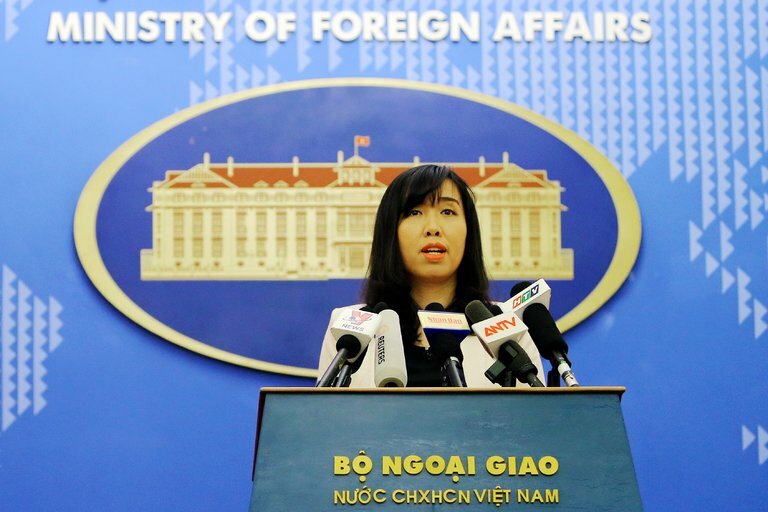 HONG KONG — Hackers in Vietnam have been attacking foreign companies and other targets for years, seeking information and using tactics that suggest links to the Vietnamese government, a cybersecurity company said Monday. The findings, laid out in a report released by the company, FireEye, come as companies and experts look beyond traditional sources of attacks like China and Russia to deal with new or rising threats. Smaller countries are now trying their hand at hacking, experts say, as they seek to follow dissidents, undermine enemies or comb corporate files for trade secrets. FireEye, a company based in California that deals with large network breaches, said it had watched a Vietnamese group known as OceanLotus target foreign companies in the manufacturing, hospitality and consumer products sectors since at least 2014. While identifying hackers or the governments that might back them can be difficult, FireEye said OceanLotus had used tactics similar to those in attacks previously identified by experts as having targeted Vietnamese dissidents, journalists and governments at odds with the country.